As a writer and storyteller, Joseph Bruchac often draws on his Native American (Abenaki) ancestry. 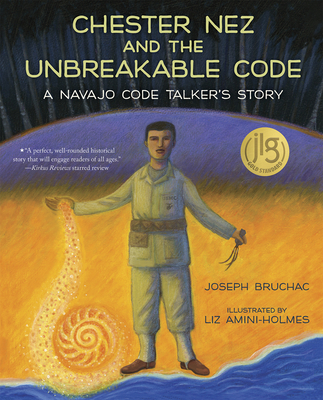 Joseph is the author of over 130 books for young readers and adults, including Code Talker: A Novel About the Navajo Marines of World War Two. He lives in New York. Liz Amini-Holmes holds a bachelor's of fine arts degree in illustration from the Academy of Art University and the University of San Francisco. She has illustrated other books for children including Fatty Legs, Miracle, and A Stranger at Home. She lives in California.